Developer Tapbots is probably best known for its third-party Twitter Client, Tweetbot. 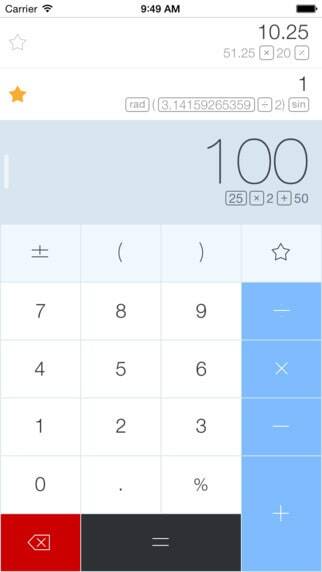 However, the developer has quite a lot of apps under its sleeve, not the least of which is Calcbot, the self-described “intelligent calculator” that wants to replace Apple’s own offering with something a bit more advanced that will appeal to a wider audience. 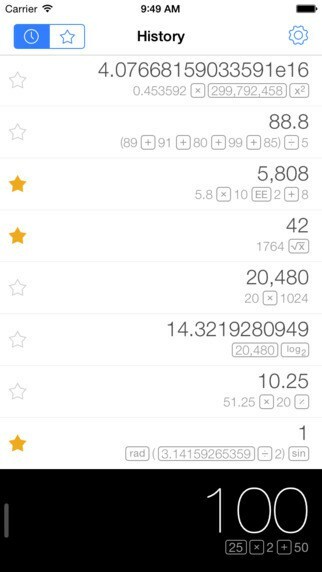 Calcbot has not been updated for quite some time but version 2.0 is finally here and it brings a redesigned interface, support for iPhone 6 and iPhone 6 Plus and everything else you would want from an iOS 8 app. As you can see from the screenshots, the UI follows Apple’s latest design guidelines and make the app seem right at home. 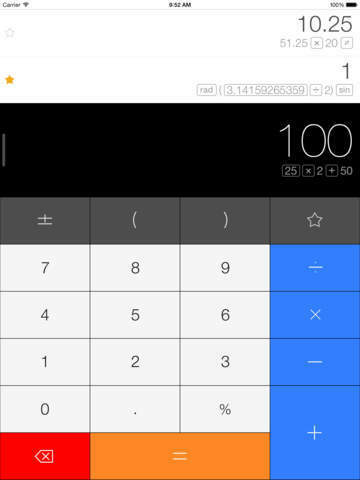 The app now also has a favorites system that lets you save the calculations you want and access them quickly via the Favorites key. The “History Tape” feature that lets you see previously entered calculations is now visible in the portrait mode and you can also sync it across your iOS devices as well as your Mac. You will also have access to scientific constants in landscape mode like pi, atomic mass or your own custom ones. Finally, there are three in-app purchases that you should know about. The first two are theme packs that go for $0.99 each and add a total of 9 themes (not including the default one). The other in-app purchase goes for $1.99 and gives you access to Calcbot Pro that includes all the features found in the Convertbot since the app has now been removed from the App Store. 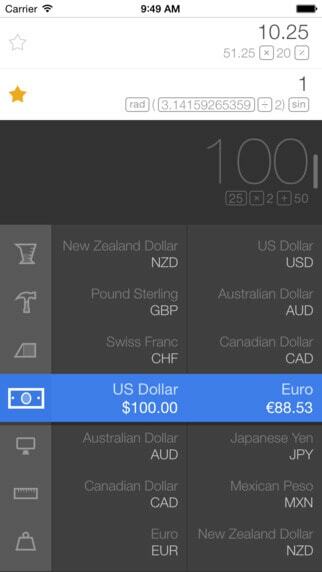 Those features include support for over 500 conversion units including auto-updating currency rates. Remember that these in-app purchases are optional and the main app does not have any ads whatsoever. If you would like to try an alternative calculator, get to iTunes and give Calcbot a go today.